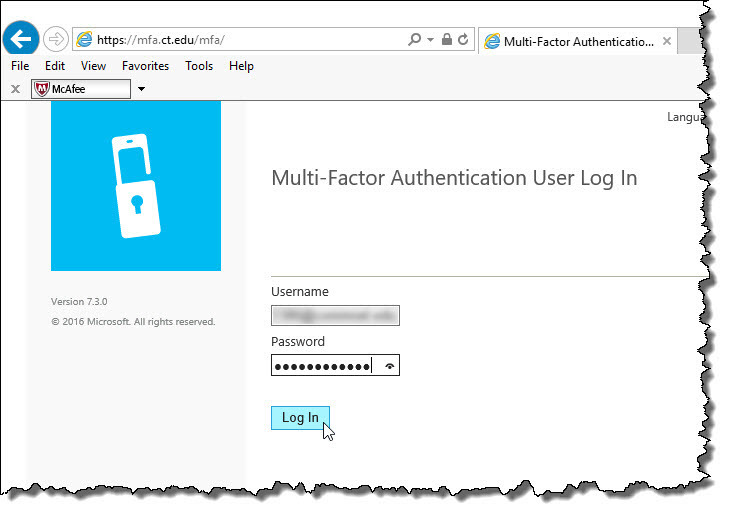 Multi-factor Authentication is used to confirm your identity before allowing access to a service (e.g., Protective Enclave). It increases security by requiring you to use both something you know (e.g., your NetID and password) and something you have (e.g., a work phone or mobile device) to make it more difficult for an unauthorized person to authenticate as you (i.e. they can’t get access just by knowing your password). The services that currently use MFA for authentication are listed in the menu on the right. Checking your MFA method - this section will walk you through how to check what MFA method you are configured to use. If you have questions on setting up or changing your MFA settings, check out the FAQ. NOTE: If you have not yet setup your MFA account, after you enter your username/password, you will be logged in. You'd then need to follow the steps outlined in the Setting up your MFA Settings section. 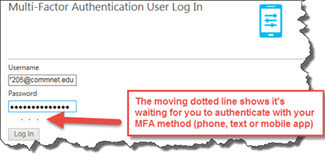 Once logged into the MFA user portal, if you wish to change your MFA method, security questions or PIN, follow the steps outlined in the Changing Your MFA Settings section. We highly suggest you first setup your account using the "phone call" method - even if you want to use the mobile app or text message methods. This allows you to configure a backup phone number and your security questions easily. 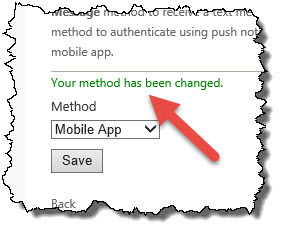 Then, if you wish to use the mobile app or the text message method after you have MFA setup to use the phone call method, change your MFA settings to use another method. 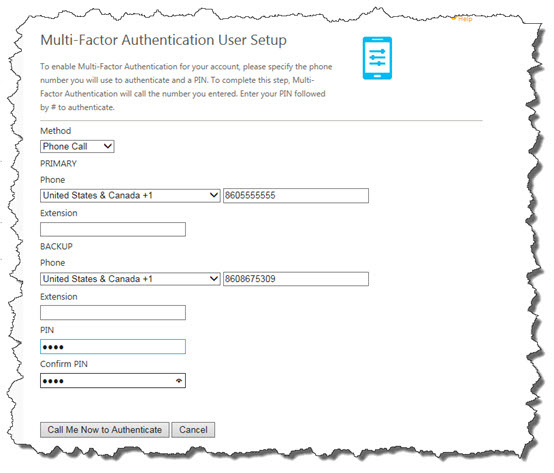 The following procedure will guide you through the one-time MFA account configuration steps. 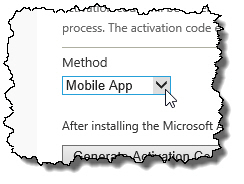 Once you have configured your MFA settings following the steps below, the authentication method you choose (phone call, text message, mobile app) will be used when you attempt to login to a service that uses MFA for authentication (e.g. Protective Enclave). You cannot login to a service that uses MFA without first configuring your MFA settings. At any time you can change your MFA settings if you decide later that you'd rather authenticate using one of the other methods or if you've forgotten your PIN or don't have your device with you (e.g. you forgot your mobile device at home and need to change your MFA setting so you can authenticate). You will be selecting and then configuring one of the authentication methods that you want to use (i.e. Phone, Text or app) followed by selecting and entering your Security Question information. 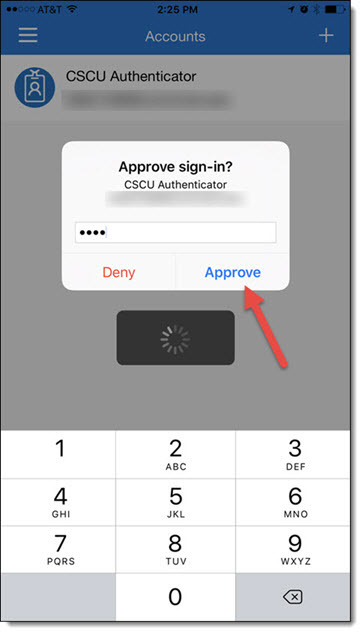 You will know your account is ready to be configured when you receive an email from CSCU-Authentication letting you know that you need to complete the MFA setup. 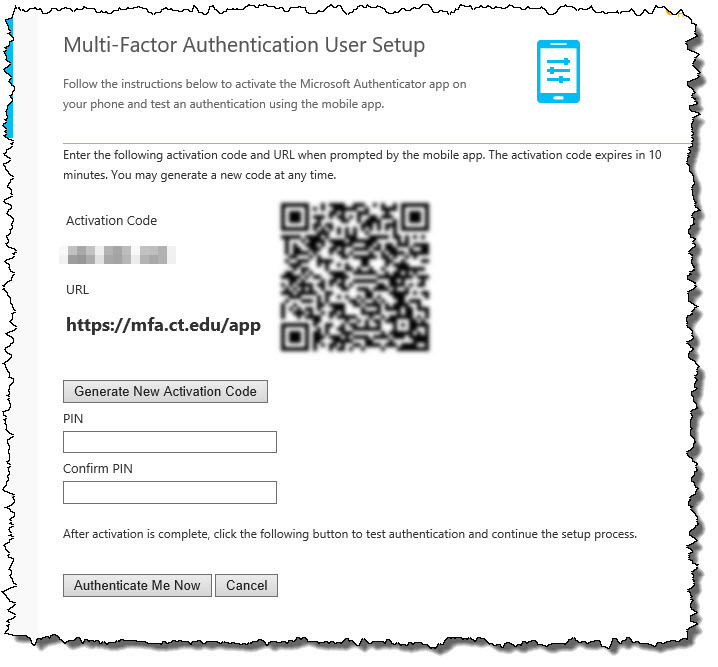 You only need to go to the MFA User Portal to setup or change your authentication settings. 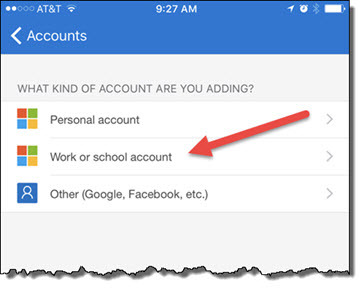 After you've initially completed the setup of your MFA account, you will login directly to the service you want to access (e.g., Protective Enclave) and it will use your MFA settings to authenticate that it is you logging in. 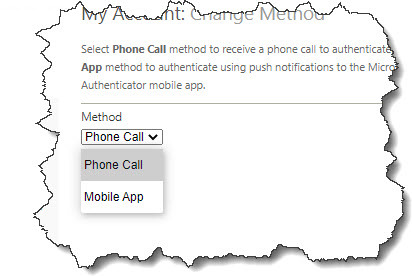 If you select the Phone Call method, you are setting up your MFA authentication to call you when you want to authenticate. It is recommended to use a mobile phone that you always have with you, so you can authenticate no matter where you are located. 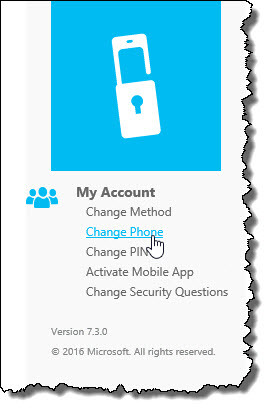 You will need to be able to access the phone during configuration. You will also enter a backup phone number that will be used if the first phone number is not answered or goes to voicemail. 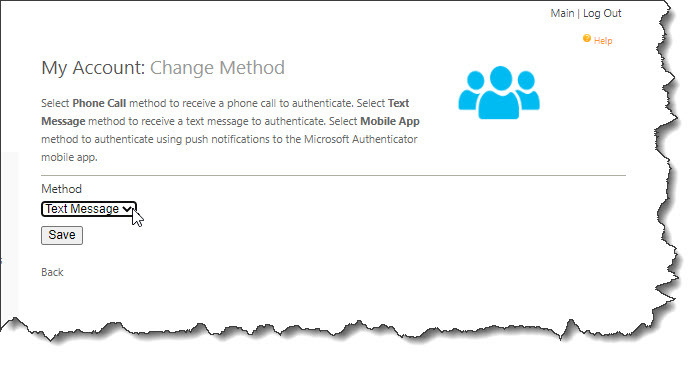 Within 30 seconds of clicking "Call Me Now to Authenticate", you will receive an automated phone call from Microsoft's authentication servers. 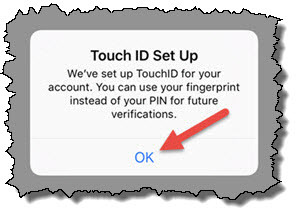 You will then be asked to enter your PIN followed by the # key to complete the authentication process. 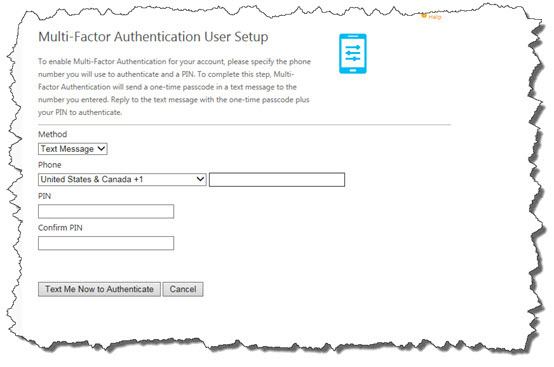 Continue to Completing the Setup Process to configure your security questions and answers. If you do not configure your security questions and answers, the setup of MFA will not be complete and you will need to complete your setup again. 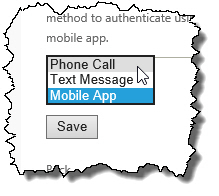 When you select the Text Message method, you are setting up your MFA authentication to text you when you want to authenticate. It is recommended to use a mobile phone that you always have with you, so you can authenticate no matter where you are located. You will need to be able to access the text message during configuration. NOTE: For the purpose of this document, the iOS platform will be used as an example. 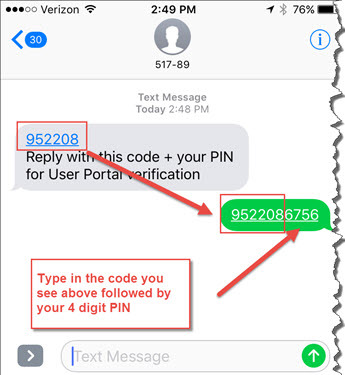 Within 30 seconds, you will receive a text message from Microsoft's authentication servers (the phone number will not be the same each time) with a one-time use verification code, similar to what is shown below. Reply to the text with the code you received followed by your PIN. Since this passcode is used only once, once you've replied, you do not need to save the text message. 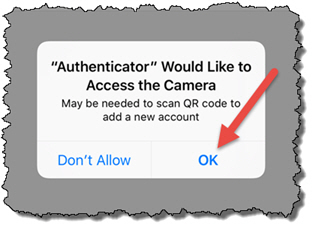 The next time you authenticate using MFA, you will receive a different passcode that you will need to reply to in order to authenticate. NOTE: You will also see the name of the service you are requesting access to also displayed in the text message. The above text was sent in response to a login attempt on the MFA User Portal. When you login to the Protective Enclave, you will see "Reply with this code + your PIN for Netscaler PE SNIP verification" indicating it is for access to the Protective Enclave. 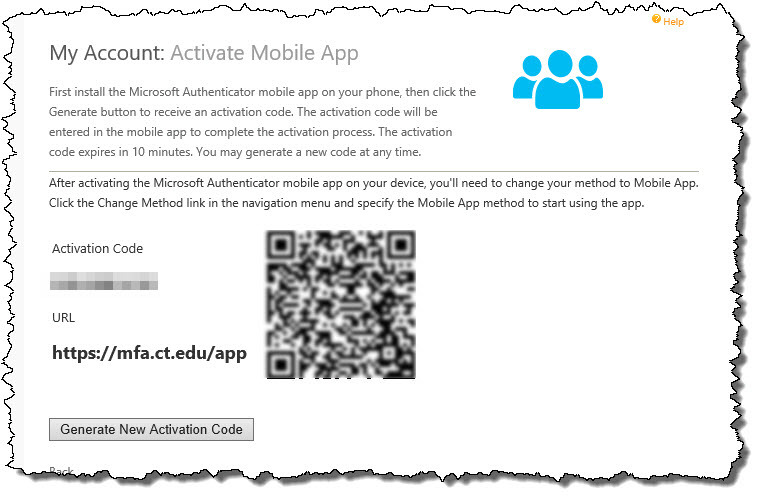 When you select the Mobile App method, you are setting up your MFA authentication to use the Microsoft Authenticator app when you want to authenticate. 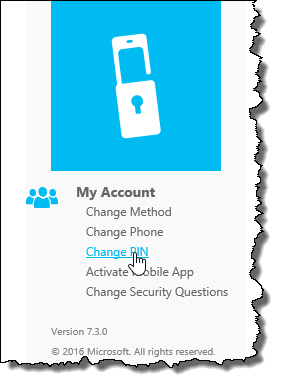 In order to use this method, you must first have the Microsoft Authenticator app for Windows Phone, Android, or iOS installed on your mobile device and enabled for push notifications. 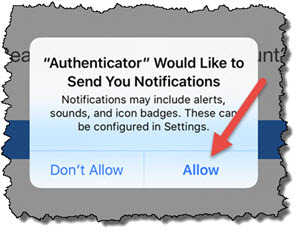 IMPORTANT NOTE: There are a variety of "authenticator" apps (e.g., Google Authenticator). 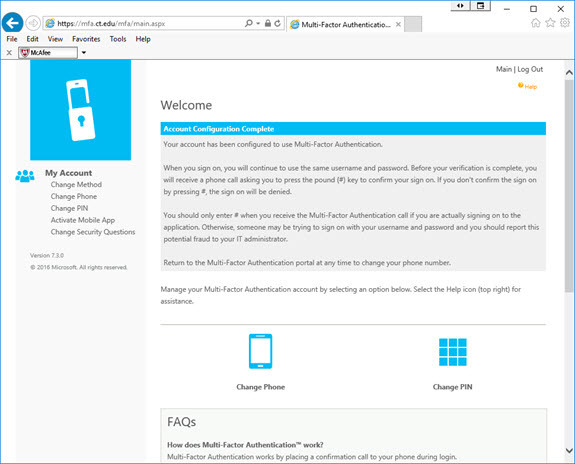 You must use the Microsoft Authenticator app to authenticate. For the purpose of this document, the iOS platform will be used as an example. 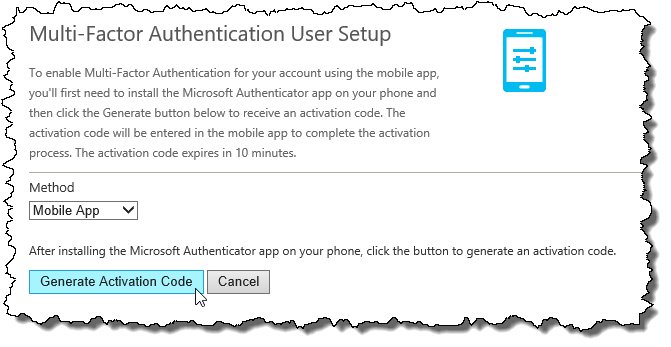 NOTE: If the Microsoft Authenticator app didn't prompt you to approve, be sure that you have allowed push notifications from the Microsoft Authenticator app on your mobile device. 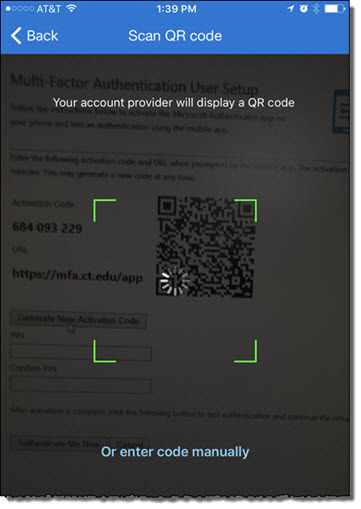 If you do not configure your security questions and answers, the setup of MFA will not be complete and you will need to complete your setup again and may need to delete the account you just created in the Microsoft Authenticator app and start again by rescanning another QR code. Before logging out of the MFA User Portal, it is strongly recommended that you add a phone number as a backup method of authenticating if your primary method is unavailable by following the instructions for Changing Phone. If your primary method is Phone Call, you may enter a BACKUP Phone Number that will be used if you cannot be reached on the primary phone number. If you received the above message, your method has been changed and that method will now be used when authenticating using MFA. You may Log Off. 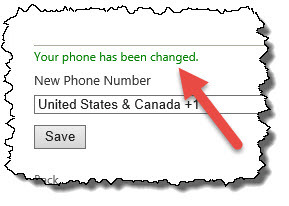 In the New Phone Number text box(es), type in the phone number(s) (including area code) that you would like the Microsoft authentication servers to call or text you on and click Save. 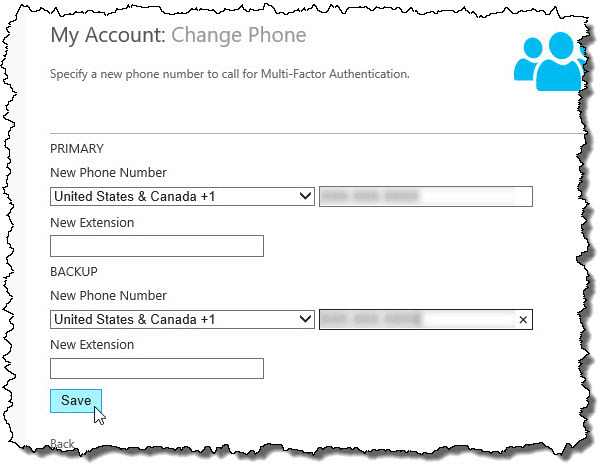 That completes the procedure for changing the phone number(s) associated with your MFA account. 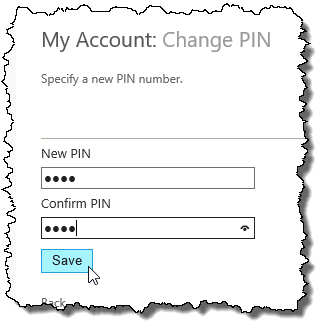 That completes the procedure for changing the PIN associated with your MFA account. 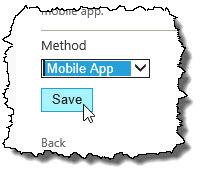 Before you can select the Mobile App method, you must first activate the mobile app with your mobile device. 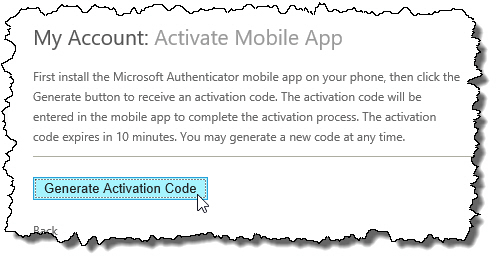 When using the Mobile App method, you will receive a push notification from the Microsoft Authenticator app to approve your authentication. 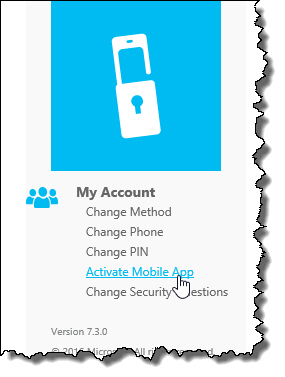 In order to use this method, you must first have the Microsoft Authenticator app for Windows Phone, Android, or iOS installed on your mobile device and enabled for push notifications. Your Mobile App is now activated on your mobile device. 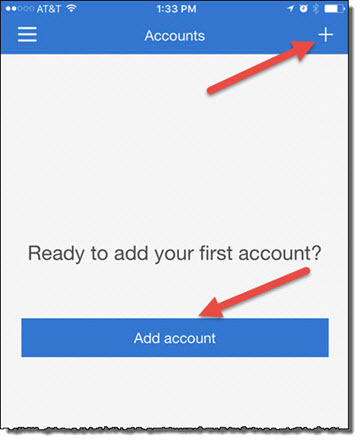 Before you will be able to authenticate using the Mobile App method, you will also need to make sure you have a PIN set. 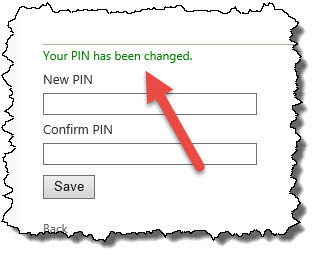 Please following the instructions for Changing PIN before logging off.